The pedals come with reflectors, so a rider will be visible to other riders and car drivers even at nighttime. These pedals might seem a bit slippery at first. 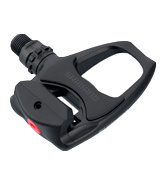 Shimano PD-T780 pedals are a high-quality and versatile option for almost all types of bikes. They have a very smart design, allowing riders to use them both with normal shoes and with cleats. Ride and hike! 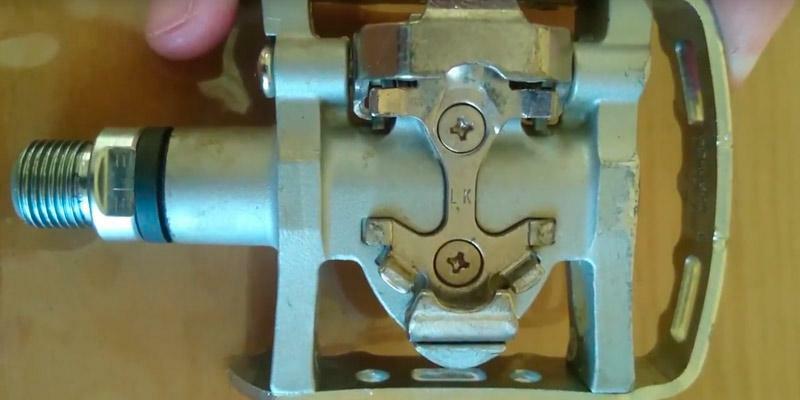 The pedals have a self-cleaning design and require almost no maintenance. 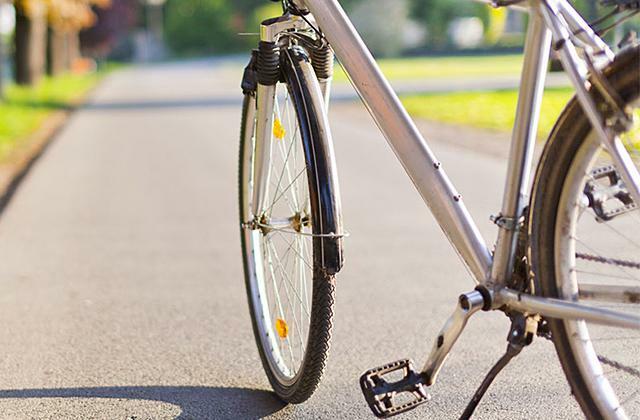 If you ride a bike every day, you'll need to replace cleats when they get worn out. Time Atac pedals are great for cross-country rides since they are highly reliable and can repel mud and dirt. After equipping your bike with these robust pedals, you'll be able to fully control your two-wheeled vehicle even during downhill racing! These durable pedals are pretty easy to install. Some riders find these pedals somewhat heavy. If you wish to improve your pedaling efficiency, Shimano PD-M324 are exactly what you need. Thanks to the sophisticated design and great durability, these affordable pedals will serve you for years! BC 9/16" x 20 T.P.I. A wide platform provides uniform load distribution and great shoe-pedal contact. Plastic parts might get scratched over time. These are great entry-level pedals that will help you comfortably switch from flat to clipless pedals. With these lightweight pedals, you will surely bring your riding experience to a new pro level! These versatile SPD pedals are offered at a really affordable price. Amateur riders might need some time to get used to these pedals. 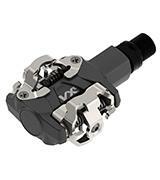 The clipless pedals from VX Series will certainly attract the attention of people who combine practice types of cycling. These pedals will be appreciated by any cyclist! 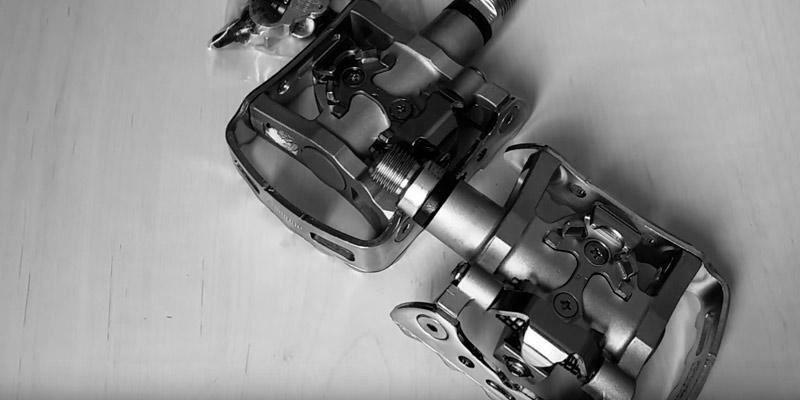 The famous Shimano company, which has been manufacturing bicycle equipment for more than 80 years, presents its advanced PD-T780 clipless pedals. 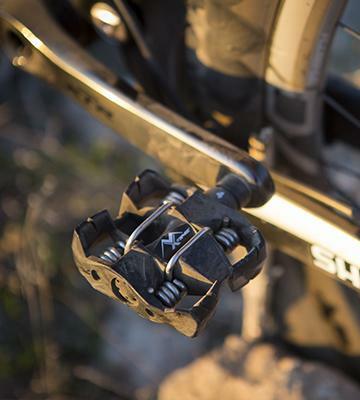 Like all Shimano products, these pedals are super versatile, reliable, and boast excellent build quality. They're designed for both road or mountain bikes and can easily cope with rigors of off-road such as mud and bumps. They provide great support and stability, thereby, significantly improving the riding quality. The versatility of these pedals is achieved by their double-sided design, allowing you to use them either with cleats or with regular shoes. Such design peculiarity comes in useful for cyclists who often set off for short trips around the town. And if you like long-lasting bike tours, these pedals will make you visible on a road at nighttime since they are equipped with light reflectors. As avid riders say, the pedals show the excellent performance and require no replacement of spikes even after riding more than 6,000 miles. And the fact that these wear-resistant and lightweight pedals (only 343 grams) are the number one choice of many professional riders reinforces that these are premium pedals. The first prototype of the two-wheeled bicycle was created and patented in 1817 by a German inventor, Karl Drais. Yet, riding this bike was a real torture since the vehicle had no pedals. A rider had to propel the bicycle forward by setting feet on the ground and pushing, so not surprisingly the shoes quickly became worn out after such rides. 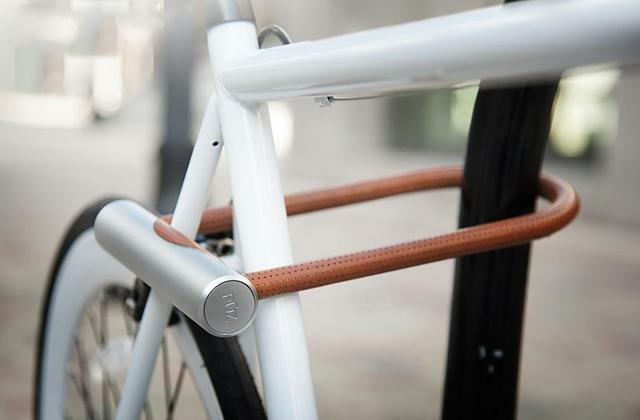 Get a reliable bike lock to protect your bike from theft. If you're crazy about extreme cycling, then you should definitely consider the Time Atac MX 2 clipless pedals created specifically for conquering mountains. Whatever hill you wish to ride up or down, you will always control the situation and be able to fully enjoy your ride. These fantastic pedals will make riding not only safe but also extremely comfortable. The platforms will gently hold your feet, thereby reducing the pressure on your joints. Plus, the ATAC system allows you to quickly click your feet in and, if necessary, get them out in a wink. And when your feet are securely locked into the Time Atac MX 2 pedals, you'll have more power to accelerate the highest speed and climb the hills. 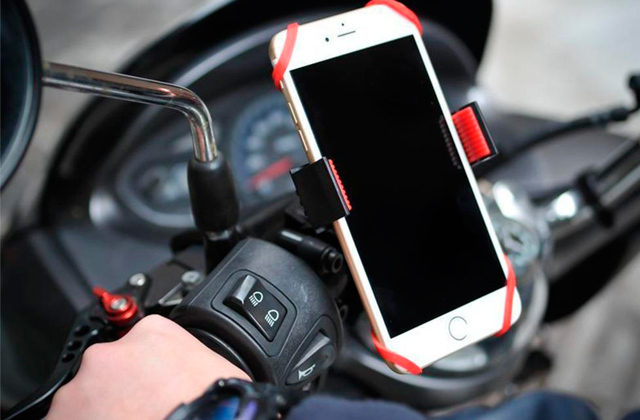 The pedals will also let you use your feet for hopping different obstacles during off-road riding, and since they are not subject to clogging with mud and dirt, they can be used under different weather conditions and on various types of terrain. Boasting durable composite bodies, they will serve you well for many years and miles. Summarizing, we can confidently say that the Time Atac MX 2 pedals will bring your riding experience to a completely new pro level! The word 'bicycle' appeared in 1860, in France. Pierre Michaux, the person who actually invented this term, wanted to choose the word for a new two-wheeled vehicle with a simple mechanical drive. In French, the bicycle is called 'bicyclette'. 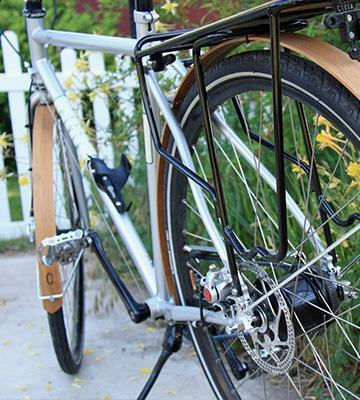 How about making your rides even more comfortable? 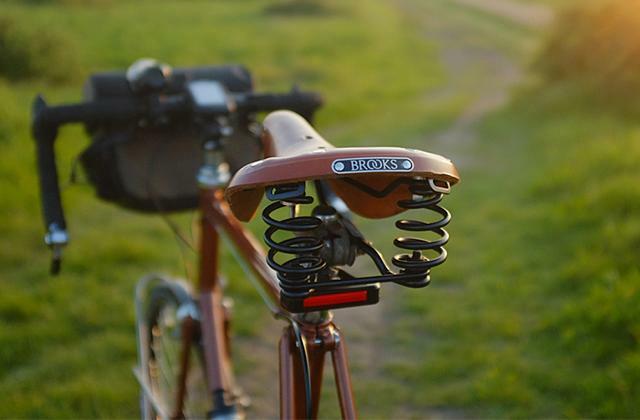 Get a new bike seat to bring your riding experience to a new luxurious level! Customers who take racing seriously and want to get the most out of cycling should opt for the best clipless pedals, that's for sure, and the Shimano PD-M324 can be a great choice. Featuring a neat and minimalistic design, they present the main principles of Shimano - maximum practicality and reliability. Being made entirely of metal (stainless steel and aluminum), they can provide riders with ultimate stability and balance. Speaking of practicality and convenience of use, these pedals aren't the most lightweight in our review but you'll hardly feel it since they are intended mainly for short trips around the town. 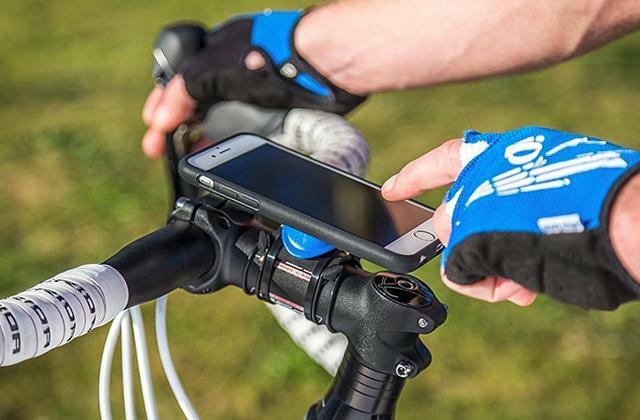 What's more important, though, is that they feature a dual-function design, allowing cyclists to use them with both regular snickers and cleats. This approach is highly valued by amateurs who plan to gradually switch to clipless pedals. 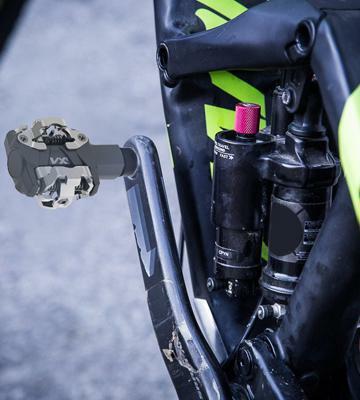 Another advantage of the pedals is their adjustable clipless mechanism that lets riders pick the right spring setting for greater comfort and stability. The Shimano PD-M324 pedals are worth every cent since they will work well for many years, allowing you to forge your way to perfection. In China, there are 250 bicycles per one car and more than 50% of the country's population cycle to work every day. For example, in Beijing, it's possible to commute to work by bike much faster than by bus or subway (of course, it's valid just for relatively short distances, i.e. up to 5 miles). In Denmark, Germany, and the Netherlands 30% of population commute to work by bicycle, and 15% in Japan. 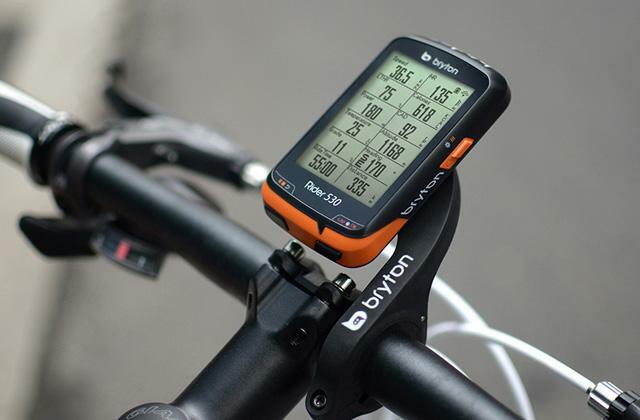 Get a bike computer to track not only speed and distance but also your heart rate and the air temperature. The Shimano PD-R540 are SPD-SL pedals designed to make the rides on road bikes as efficient as possible for a cyclist. 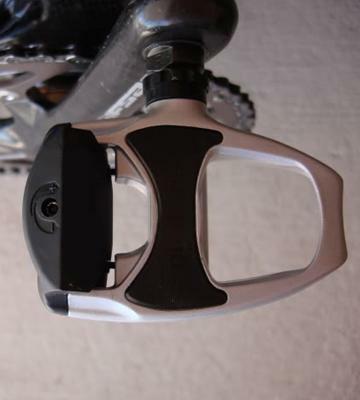 These pedals provide the maximum possible fixation of your feet, making rides safe and easy. Since these pedals have a release tension adjustment, they are suitable for both beginners and professionals (a loose fit is great for novice riders, while a tight one would work for more experienced cyclists better). 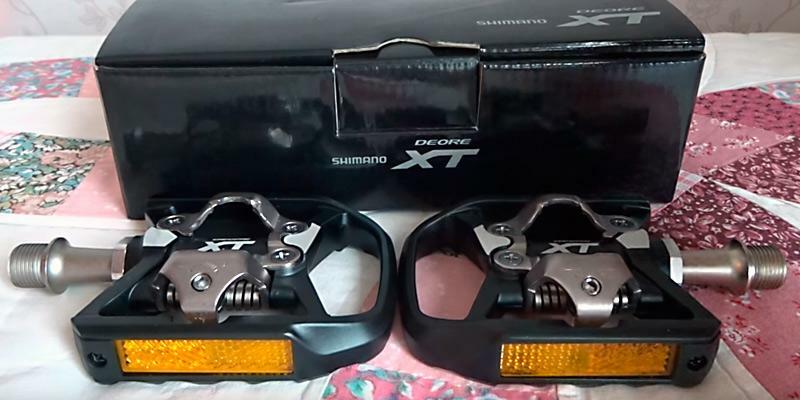 Like all Shimano pedals, this pair is highly reliable and can be used longer than a year. Plus, they are super comfortable since the specially-designed platforms make clipping in faster, provide a uniform load distribution and improve shoe-pedal contact. Thus, even after you cover long miles, you won't feel any discomfort or fatigue. Another welcome feature is that the pedals have a sealed cartridge axle unit, which doesn't allow any dirt or moisture in. Hence, the pedals require almost no maintenance. 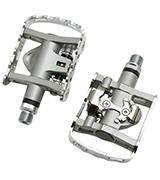 Made of aluminum, chrome, and plastics, these Shimano pedals are extremely lightweight (330 grams), which positively affects the overall mobility of a bike. 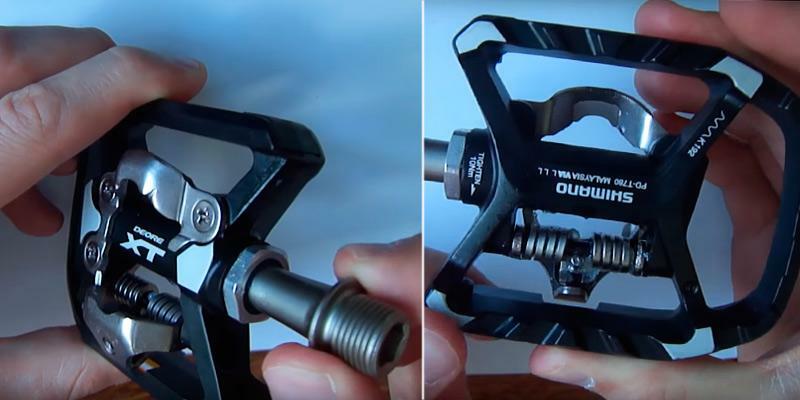 So, if your priority is the ease of use, these entry-level pedals are exactly what you need. Although the bicycle was created by Karl Drais in 1818, his invention was substantially improved during the years that followed. A Scottish blacksmith Kirkpatrick Macmillan added pedals to it. The pedals were attached to the rear wheel with metal rods, pedals pushed the wheel, and a cyclist controlled the bike with a handlebar attached to the front wheel. 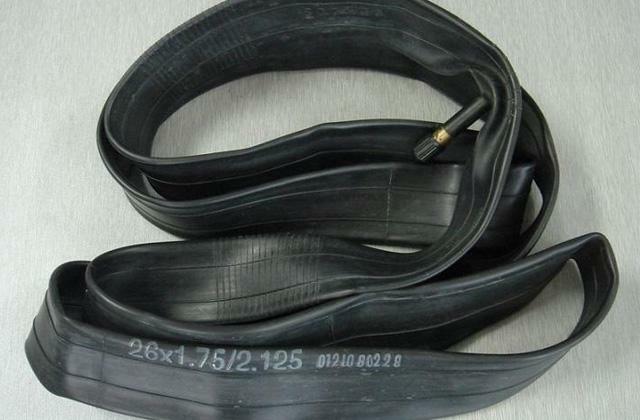 Properly inflated tires always absorb bumps and shocks better, so purchase a reliable bike pump to always maintain the right pressure. Great Bargain for Any Cyclist! 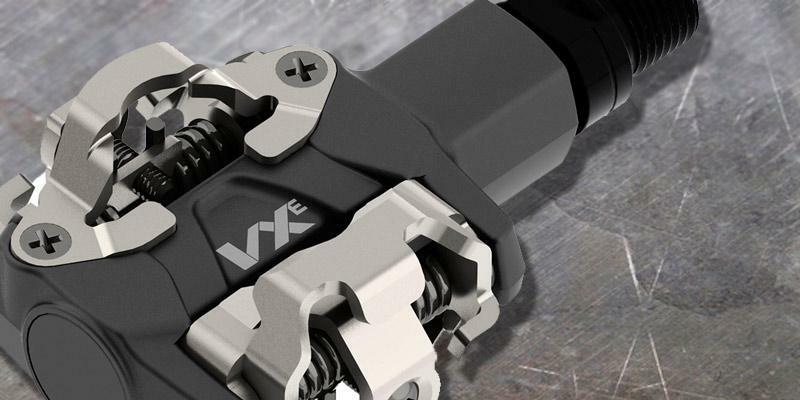 If you wish to become a professional cyclist but the idea of spending lots of money discourages you, the VX Series offers you an affordable solution - VP-VXE Pedals. In other words, you can get the SPD pedals that have almost the same quality as the products from more well-known brands. 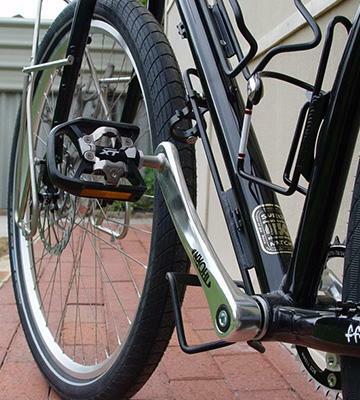 These pedals are quite versatile and will be effective both during city rides and off-road cycling. A reliable fixation will ensure that you'll always feel safe and stable when riding your bike regardless of the terrain and weather. 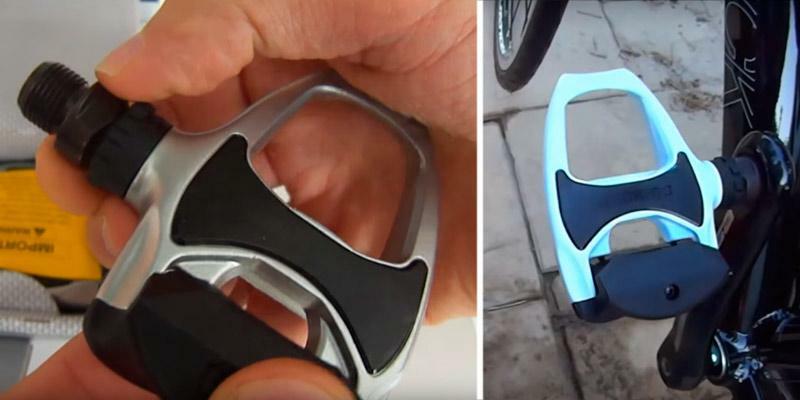 These robust pedals are made of aluminum, so they are quite lightweight. Sometimes 'expensive' doesn't mean 'high quality' and vice versa, and we can confidently recommend these budget-friendly pedals for cyclists who wish to discover something new and improve their riding technique! 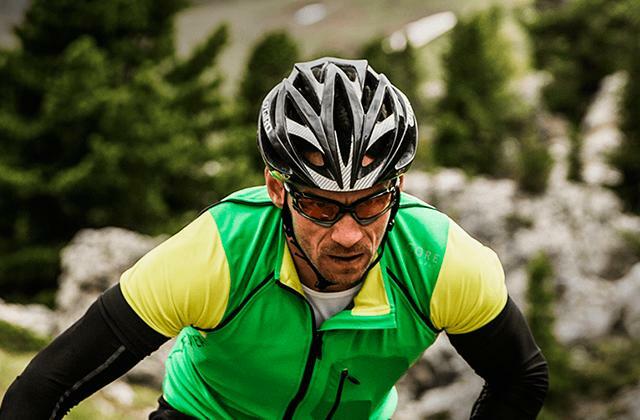 An American cyclist, Michael Seacrest, is known for his stunning record: he covered enormous 1,200 miles within 24 hours! More than 100 million bicycles are produced worldwide each year. 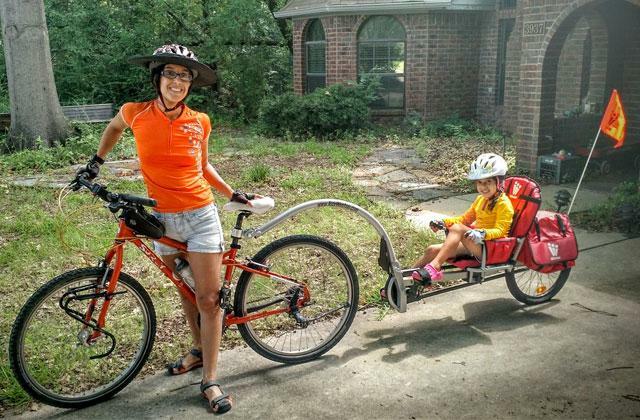 Unfortunately, Americans use their bicycles for less than 1% of their urban trips. And the more people ride bicycles, the safer the roads become. To make bike rides as safe as possible, make sure to wear a decent bike helmet. The term ‘clipless’ usually puzzles a lot of people, and if you're wondering why clipless pedals are called so, it's because such pedals evolved from so-called toe-clip models that had metal cages (toe clips) and leather straps to keep a rider's shoes in place. Actually, they didn't clip, so it's puzzling why people called them 'clip'. However, the new generation of pedals already had a 'clip-in' design but for some reason were called 'clipless'. 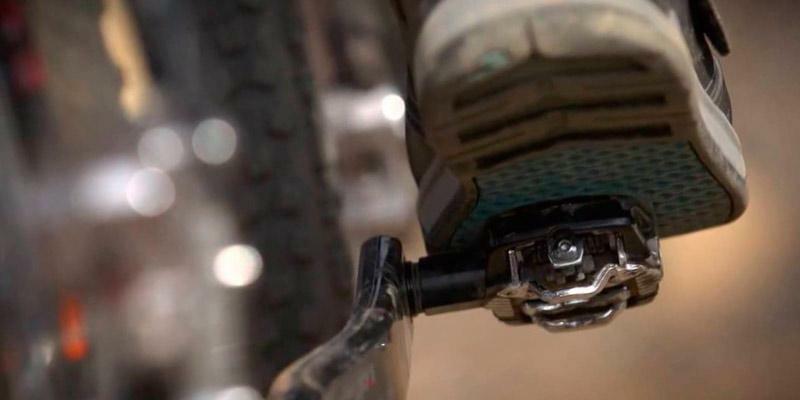 Clipless pedals attach to riders' shoes, keeping their feet firmly on the pedals. 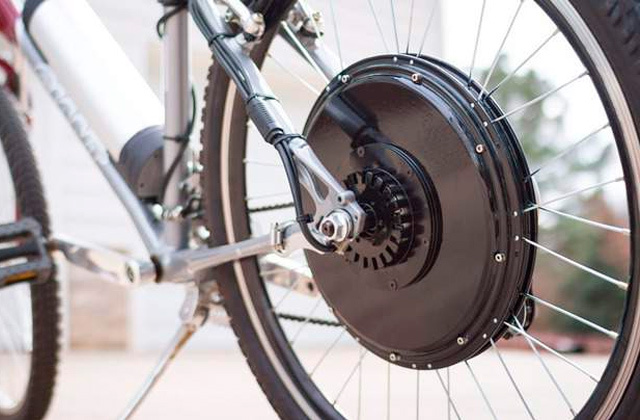 Such pedals are a two-part system consisting of special platforms with a locking mechanism and cleats that should be attached to the soles of cycling shoes. Keeping shoes in place, clipless pedals provide cyclists with the ultimate confidence when riding downhill and allow much more efficient cycling workouts. The pedals are available in many different design patterns to suit different riding styles and, hopefully, you will find the right pair for your bike in our review. We're more than sure you'll never get back to using conventional pedals after trying riding a bike with clipless ones. 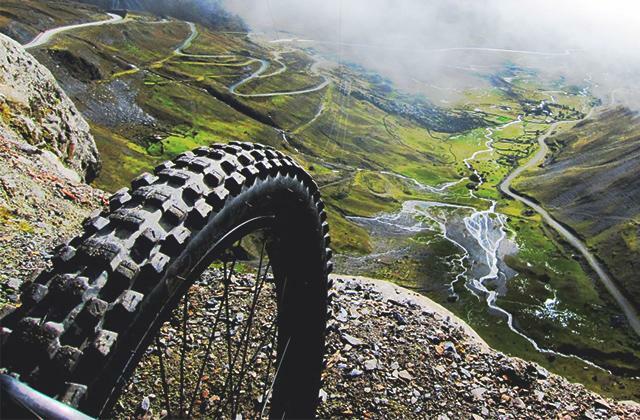 Good tires will let you ride faster, so look through our best road bike tires and mountain bike tires reviews and make your choice. There are many types of clipless pedals designed for different styles of riding. They all use the same clipping mechanism but a different pedal-cleat system, so let's take a quick look at the most popular systems available on the market. Shimano SPD double sided system is used by cyclists worldwide since the recessed cleats suit for many different activities. The cleats don't contact the ground, thus this system is ideal for walking and even hiking. Shimano SPD one-sided are great if you like the idea of recessed cleats, yet need a bit more support for long cycling trips. The pedals look like a standard ‘cage’ pedal and allow you to ride in your trainers unclipped. Yet, if you need some extra fixation, you can clip-in and enjoy better support offered by the cage. 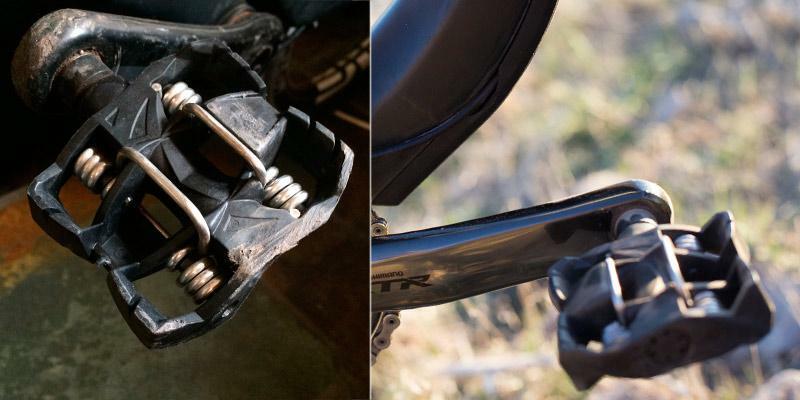 However, such pedals can be a bit heavy, they are best suited for leisure riding or off-road riding. Shimano SPD-SL has a three-bolt configuration with a wide platform. 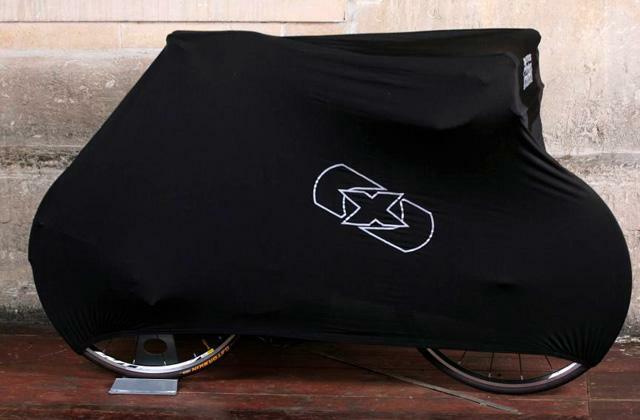 Such system provides the maximum efficiency and aerodynamics, so it's good for road riding, racing, and commuting. 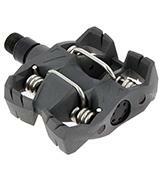 Crank Brothers is a very light pedal-cleat system which is often bought for off-road cycling. The only drawback of this system is that it's got a weight limit and cannot be used by people wth the weight more than 176 pounds. 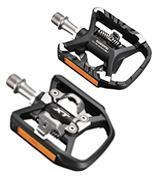 Time Atac pedals like Shimano SPD are very durable and provide great fixation, thus, are perfect for off-road riding. Clipless pedals have a pretty complex design, therefore, manufacturers use a multitude of materials for their production. Platforms are usually made of aluminum, steel, magnesium, resin, composite materials, different alloys, sometimes even plastics, while spindles and springs can be made either of Chromoly or titanium. Chromoly spindles are considered to be the most durable and lightweight. The lighter, the better! So, if you can afford Chromoly pedals, go for this option. 1. Ben Delaney How to choose clipless road pedals, BikeRadar. June 17, 2014. 2. 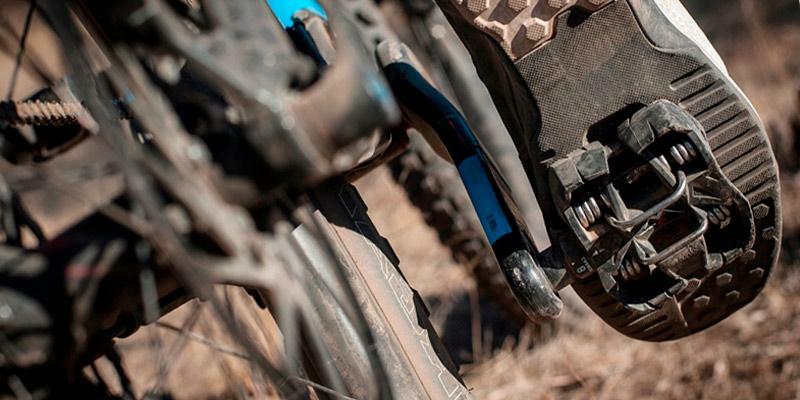 Bike Pedals: How to Choose and Use, REI COOP. August 12, 2015. 3. 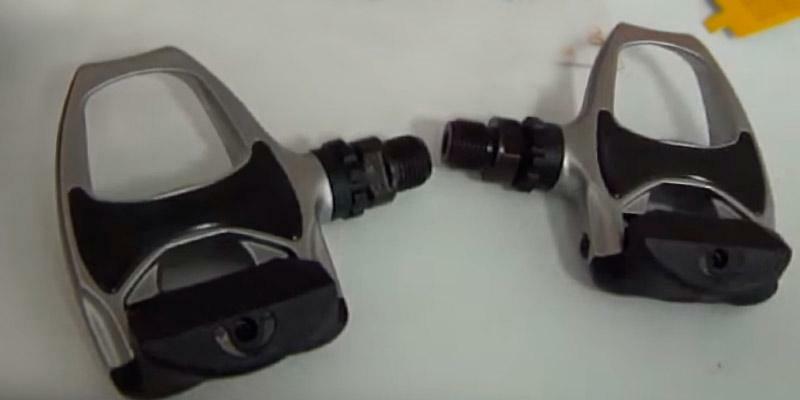 CLIPLESS PEDALS — HOW TO GO FROM BEGINNER TO PRO, EVANS cycles. November 24, 2015. 4. Brent Rose Why You Should Switch to Clipless Pedals, GIZMODO. March 13, 2013. 5. Mike Anderson Beginner’s guide: how to use clipless road cycling pedals, RCUK - ROADCYCLING UK. June 28, 2015. 6. Adam Vaughan Clipless pedals: why you don't need to be scared of switching, The Guardian. May 14, 2014. 7. Marc Lindsay 6 Beginner's Tips for Clipless Pedals, Active. 8. Which pedal system is best for you? Cycling Weekly. August 22, 2014.